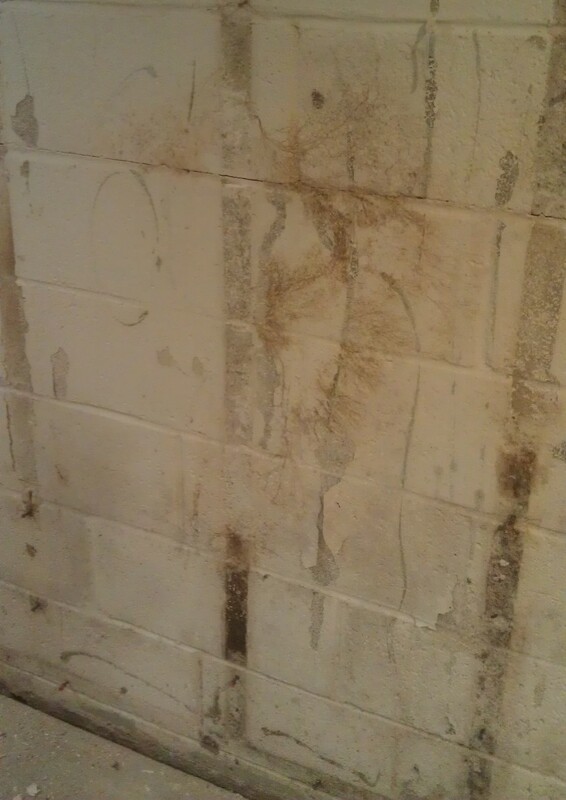 Basement mold removal is important for a number of reasons. Exposure to mold in the home has been linked to a number of health problems, ranging from mild respiratory problems and allergic reactions to serious and even life-threatening conditions like pneumonia and bleeding in the lungs. If you have mold in basement areas, it can quickly spread to other areas of the home, increasing the risk to your health and requiring extensive, costly mold remediation. Addressing basement mold promptly protects both your health and your home. Why Is Mold in Basement Areas So Common? Being below ground, basements are naturally damp if not constructed properly to seal out moisture. Basements may be inadequately ventilated, or at least not ventilated as well as the rest of the home. Washing machines and clothes dryers are often located in basements and doing laundry increases humidity in the room. If dryers are not properly vented to the outdoors, that increases the likelihood of mold. Note that improperly vented dryers can also lead to dangerous levels of carbon monoxide in the home, so this is something that should be corrected immediately, before you use the dryer again. If you don't use your basement regularly, you might not notice signs of water leaks right away. 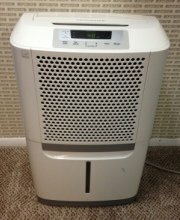 Appliances like water heaters are often located in basements, in out-of-the-way spots. Leaks sometimes go on for quite some time before homeowners discover them. This gives mold plenty of time to begin growing. You can read more about mold prevention here. Before beginning the process of removing mold from your basement, you need to make sure you've located all areas of mold. Mold often grows in hard-to-find places, such as under carpet, inside walls, and inside heating, ventilation and air conditioning ducts. Follow this link to learn more about looking for hidden mold. 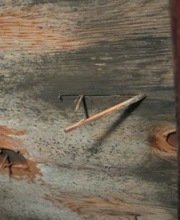 If you want to be sure you haven't overlooked any mold, you can have a professional come in to inspect your home. Many mold remediation professionals offer free home inspections. In a moment, we'll tell you how to schedule one. Remove any items not affected by mold from the work area before you get started. The process of removing mold causes mold spores to spread and if you're not careful, you'll end up spreading mold to unaffected areas and making matters worse. Any items that cannot be moved away from the work area should be covered with sheets of heavy plastic. If the carpet or other flooring in the work area is not moldy, cover it with plastic sheets to keep mold spores off the floor. If only part of the basement is affected by mold, you'll want to block off the work area from the rest of the basement so that mold doesn't spread to other areas during the mold removal process. Use two-by-four 's and heavy sheets of plastic to section off your work area. Of course, you'll need to make sure you have personal protective gear before handling any moldy materials or working around mold. This includes disposable gloves (latex or vinyl), an N-95 or N-99 face mask, disposable shoe covers, and a disposable hair cover. You can purchase disposable coveralls as well, or just wear pants and long sleeves that you'll launder in hot water as soon as you're finished working. If the mold removal takes more than one day – and mold removal often takes several days or more – you'll need a new set of personal protective gear each day. The mold removal process involves first removing all moldy materials that cannot be adequately cleaned. Such items might include upholstered furniture such as sofas, mattresses, papers, books, cardboard boxes, carpet, and even drywall. Since it is nearly impossible to completely remove mold from porous materials such as these, they must be discarded and replaced. Before carrying moldy materials upstairs and through the house, items should be securely wrapped in heavy sheets of plastic or enclosed in heavy plastic trash bags. That way you won't inadvertently spread mold to other areas of the home. Of course, if the basement has its own entrance, use that instead of carrying moldy materials through the house. After removing all materials that cannot be adequately cleaned, mold must be removed from non-porous surfaces such as tile, concrete, metal, and glass. Mold can be removed from most non-porous surfaces with an anti-fungal cleanser and a scrub brush. You can read about mold removal products here. Removing mold from heating, ventilation and air conditioning systems is complicated and not a do-it-yourself project for most homeowners. If there is mold in your HVAC system, you'll need to call in an experienced professional with all the necessary equipment. 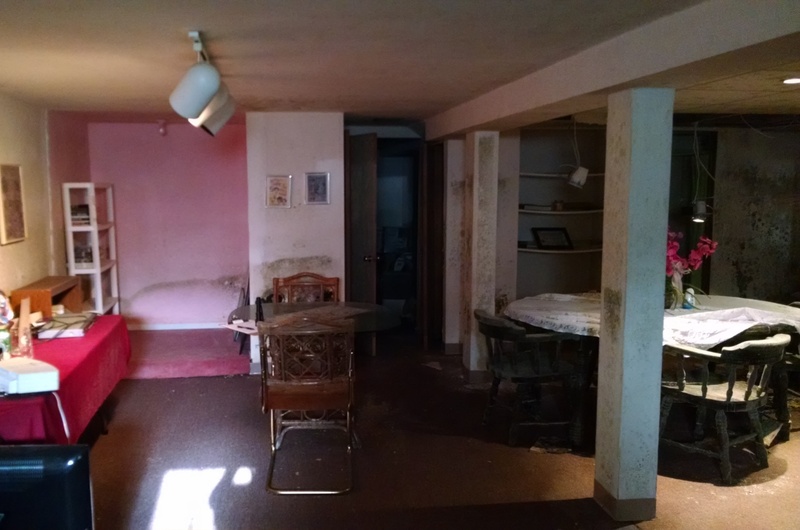 If you feel overwhelmed by the basement mold removal process, that's understandable. It can be a very big job. If you think you might need help with the job, we suggest scheduling a free consultation with a mold remediation professional. Mold in your basement covers an area greater than 10 square feet. There is mold in your heating, ventilation and air conditioning ducts. Mold began to grow after your basement was flooded with water that may have been contaminated by something hazardous, like sewage or toxic chemicals. 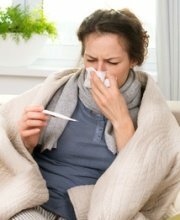 You are experiencing mold-related health problems or have other health problems that might be made worse by increased exposure to mold, such as asthma or disorders of the immune system. An experienced mold remediation professional will visit your home, inspect for mold, and advise you about the work that needs to be done. There is no cost and no obligation on your part. To find qualified mold removal professionals offering free consultations and inspections in your area, just follow the link.